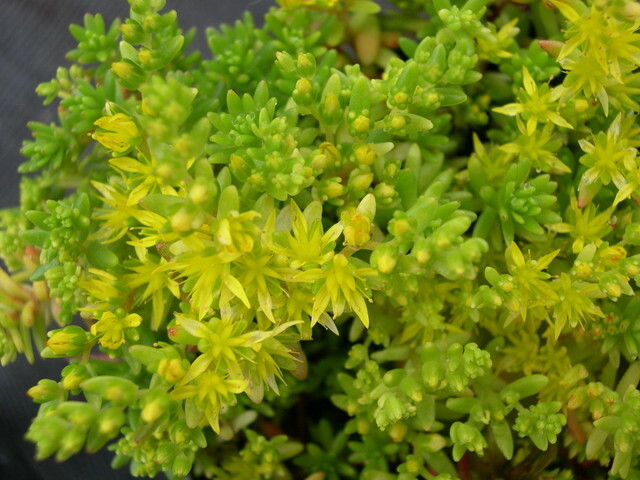 Once labeled Sedum japonicum senanense. Slender stems are well branched. Foliage is green turning bright red through much of the year, being quite showy in the winter months. Flowers are yellow with red keel in summer. Grows to 1 inch tall. Native of Honshu, Japan, often in shaded situations. Evergreen.